Bhy the third track “Through the Mist of Consciousness,” the music swirls in an atmosphere of entertaining atmosphere with the addition of tolling bells, wailing guitar, and icy synth. 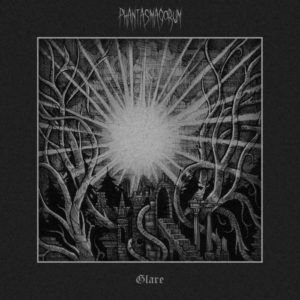 The song builds to a full presentation of competent black/doom which is imposing in its demeanor but never suffocating. Even though the vocals and instrumentation for Glare is horrid on its exterior, if you have reach this far into searching for new metal music, then you are going to have a blast with this record. Even though it is almost December, the world of Phantasmagorum sounds like Halloween all of the time as long as it is cold and littered with dead leaves. The cover for Glare shows an illustration detailing a castle surrounding by exploding light and tentacle like tree limbs. the entire scene is impossible and alien and beckons the viewer into a world where there is less realism than their is style. 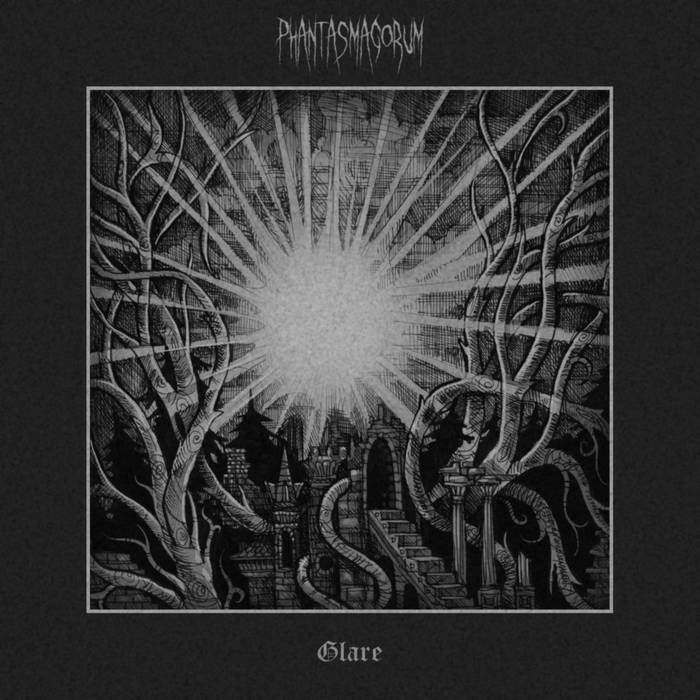 this is the music of Phantasmagorum which is less a metal record and more what a D&D dungeon crawl through haunted castle would really sound like.